Part of the Amazon is not your friend series. Isn’t this battle just between two companies? You may be wondering how the Hachette battle with Amazon could be interpreted as being Amazon against authors. Sit back and allow me to explain. First, there are the Hachette authors. 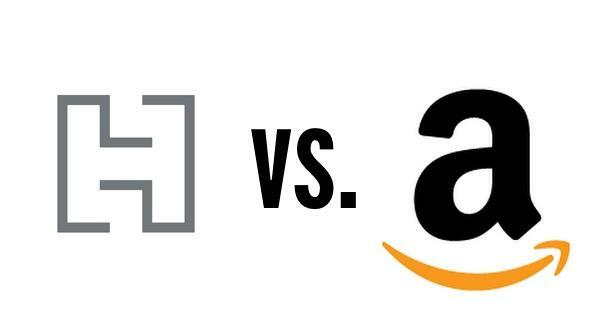 The press about the battle between these two companies has been rife with Amazon’s tactics to disadvantage Hachette’s books. The books have been taken off promotional lists, discounts have been removed, and shipping date predictions have been in the 4-6 weeks band, claiming there weren’t any in stock. Book pages have also been updated with suggestions that customers might prefer books by other (non-Hachette, of course) authors. Through this whole battle, Hachette authors were reporting a huge downturn in sales through Amazon. It’s a powerful enough store that they can easily see the difference in their royalty reports. Throughout the embargo, Amazon made several overtures to Hachette, offering to lift the sanctions if the publisher agrees to ridiculous temporary royalty agreements. These include giving all profit from the book sales to the authors or donating the profit to charity. Basically, they wanted Hachette to give up any money they might make on the book sales for the duration of the contract negotiations. It’s no surprise that Hachette turned all of these ‘offers’ down. They are so obviously ridiculous and a propaganda ploy designed to cast the publisher in the role of villain, because it’s forced to refuse in order to protect its bottom line. Let’s not forget that this went on for months; not an insignificant chunk of the financial year for any company. There has been a lot of outcry against Amazon’s tactics, to the extent that over 900 authors put their money together, signed a petition, and put a full-page ad in the New York Times, imploring Amazon to stop its stupid tactics. Known names like Malcolm Gladwell, Michael Chabon, Scott Turow, George Saunders, Philip Pullman, and Nora Roberts were a part of this. What was Amazon’s reaction to the ad? To move the other section of authors at its disposal into the middle of this debate: the KDP authors. This brings me to the second part of this issue. In August 2014, Amazon sent out an email to all of its authors. It wasn’t just the KDP Select authors that it tried to call to its side: all KDP authors were contacted, including me. The email is a beautifully-crafted piece of propaganda. It combines fear-mongering, just enough of the truth to justify itself, and sympathy-evoking images and tactics. I was astonished when I read it, and quickly angry. It is the most despicable thing I have had someone send to me. Amazon sent this out to authors who had nothing to do with the battle. It’s clearly an attempt to rally indie authors to their side. In the email, Amazon asks us to spam the Hachette CEO with hate mail. This is the entire purpose of this email! They included his name and email address, and asked to be copied in so they could see. Great. Because what this world needs is more people sticking their oar into something that doesn’t concern them, and more hate being spread around. Right. This email is what ultimately prompted me to start writing this post series (I know, it has been a long time in coming!). I didn’t want to get involved and there are lots of informed and informative blogs around who are speaking up on this. But Amazon involved me directly by trying to draw me into the debate. Well, maybe I’m slow, but I get there in the end, and I don’t have much patience for that kind of tactic. Amazon have shown their true colours. They are ruthless, they have a skilled marketing department, and they’re not afraid to throw you under the bus if it will benefit their cause. So I’m raising my voice. I’m writing these posts. It may have taken me months to get to it all, but this seems too important to stay silent any more. The Hachette battle may have concluded but the story is far from over.